My recessed downlights go off & then work again. Why? One of the most common call outs we get are around problems with halogen downlights. We often get told by clients that they have recessed halogen lights that start working and then suddenly stop working, only to work again a while later. The most likely cause of this is overheating of the light socket. It could be that the socket has become partially covered by insulation, birds nests or things stored in the roof. It could also be that the downlight has been installed into a cavity where there is insufficient room to dissipate the heat from the fitting. 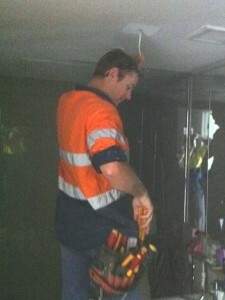 Always get this sort of problem checked out by a qualified electrician. We have been to one too many callouts where the downlight has overheated and the wooden beams around the light have started to smoulder and burn. 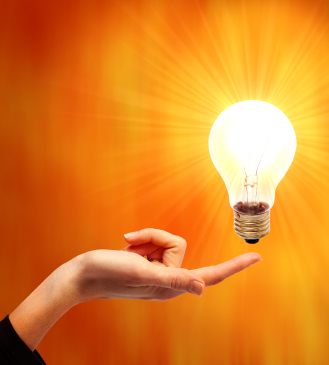 Better yet, get your halogen downlights replaced by energy efficient LEDs. You will save on running costs and reduce the risks of fire in your roof. 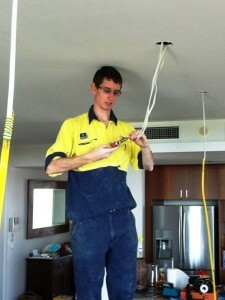 Here’s some photos of two of our tradies – Ben (our apprentice) and Justin replacing 45 halogens in the one home this week. It’s a big job but will be great for the client when they are finished.